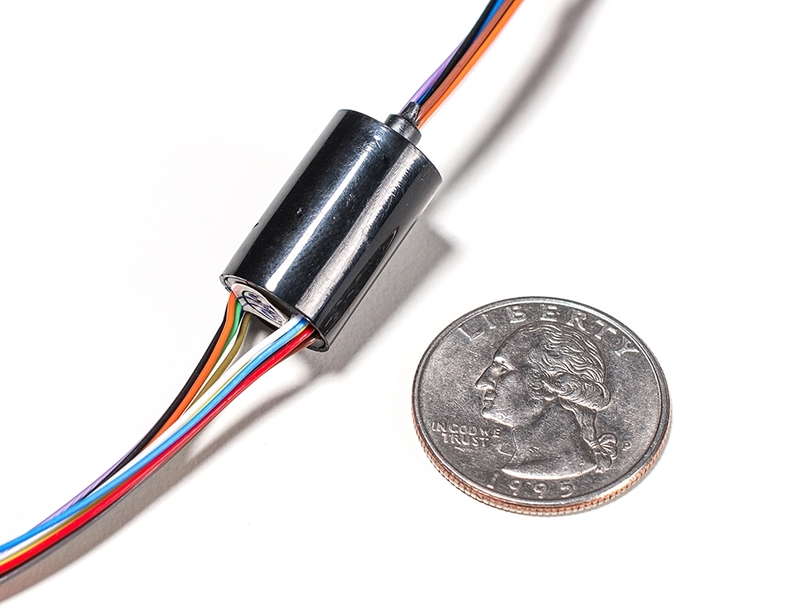 Inside the miniature plastic tube is a gold plated slip ring for 12 wires. 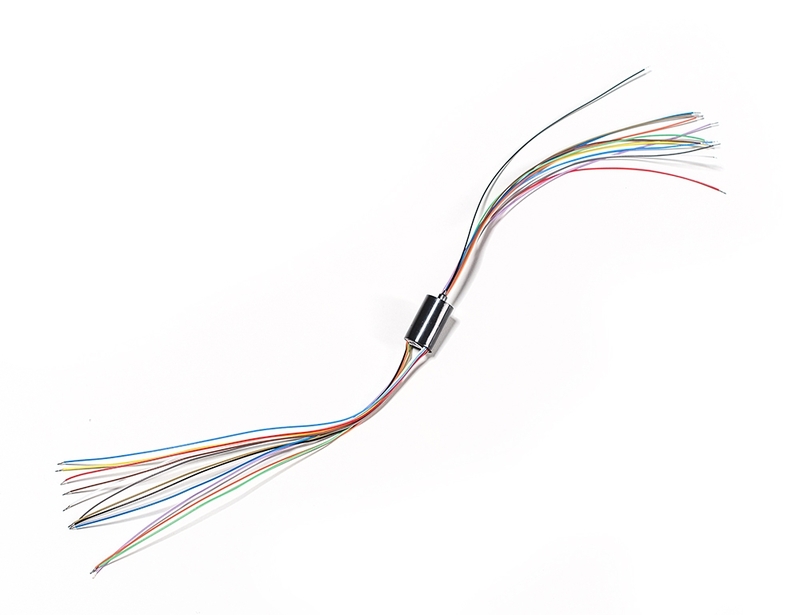 There are twelve color coded wire sets made of 28 AWG and no matter how you twist the assembly, they will remain in continuity. Each of the wire sets can carry up to 2A at up to 240VAC or 240VDC. 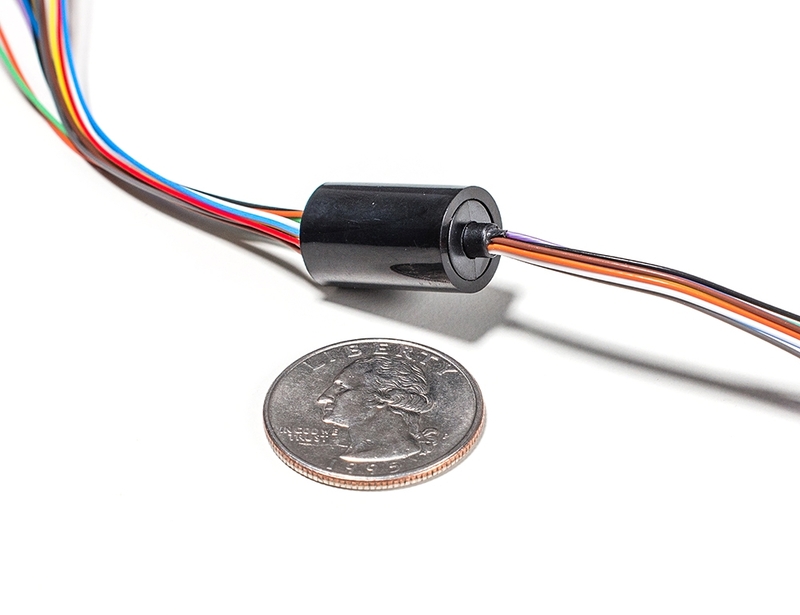 This model is the tiniest slip ring you can get, a mere 20mm long, 12mm diameter. Rated to rotate up to 300 RPM (but you can probably go faster if you don't mind a reduced life and/or noise).